Hama Sankare, legend of Mali's desert blues, releases Niafunke, his second brilliant album recorded March 2018 in Bamako. Sankare brought into the studio dynamic young headliners, Oumar Konate, Dramane Toure, and Makan Camara along with long time colleagues Afel Bocoum, Yoro Cisse, and Kande Sissoko to forge a set of blazing tracks that breath new energy into the genre, breaking old formulas all the while honoring traditional roots. Niafunke, a city in Mali along the Niger River near Timbuktu is where Sankare continues to live with his family. He, Bocoum, and Cisse were contemporary collaborators with Ali Farka Toure whose home was also there; they can be heard on many of Farka's albums. Sankare's spirit engages everyone he meets. He has absorbed musical influences from around the world which he brings to these ten tracks. Personnel: Alpha Ousmane "Hama" Sankaré - vocal, calabash; Oumar Konaté - guitar; Dramane Touré - bass; Makan Camara - drums, percussion; Afel Bocoum - backup vocal, spoken word; Yoro Cissé - monochord; Alibaba Traoré - guitar; Kande Sissoko - ngoni; Sékou Toure - backup vocal. LP version. Hama Sankare, legend of Mali's desert blues, releases Niafunke, his second brilliant album recorded March 2018 in Bamako. Sankare brought into the studio dynamic young headliners, Oumar Konate, Dramane Toure, and Makan Camara along with long time colleagues Afel Bocoum, Yoro Cisse, and Kande Sissoko to forge a set of blazing tracks that breath new energy into the genre, breaking old formulas all the while honoring traditional roots. Niafunke, a city in Mali along the Niger River near Timbuktu is where Sankare continues to live with his family. He, Bocoum, and Cisse were contemporary collaborators with Ali Farka Toure whose home was also there; they can be heard on many of Farka's albums. Sankare's spirit engages everyone he meets. He has absorbed musical influences from around the world which he brings to these ten tracks. Personnel: Alpha Ousmane "Hama" Sankaré - vocal, calabash; Oumar Konaté - guitar; Dramane Touré - bass; Makan Camara - drums, percussion; Afel Bocoum - backup vocal, spoken word; Yoro Cissé - monochord; Alibaba Traoré - guitar; Kande Sissoko - ngoni; Sékou Toure - backup vocal. LP version. Alpha Ousmane "Hama" Sankaré (aka Pedro) is a legend. He has anchored the bands of many great artists of Mali: Ali Farka Toure, Afel Bocoum, le Troupe Regionale de Niafunké, l'Orchestre de Gao, Songhoy Allstars, and Mamadou Kelly's BanKaiNa, and he can be heard on many of the seminal recordings of Mali's music. He is the master of contemporary calabash percussion and defined it's the playing style. He has toured the world. Hama's influence is unchallenged as composer, arranger, and instrumentalist. Unbelievably, Ballébé - Calling All Africans is the first album in his own name! A musical adventurer, Hama explores sounds and is constantly expanding his repertoire. His knowledge of tradition reaches deeply into the past as he looks into the future for inspiration. For this album, Hama sought a variety of sounds. He asked Grammy-winning guitarist Cindy Cashdollar, whom he met in Woodstock New York in 2016, to bring her distinctive slide guitars to some of the tunes. He also asked the young singer Sekou Touré to join him. Oumar Konaté brought his guitar virtuoso skills and Sekou Bah anchors the tracks on bass. Also joining in were Mahalmadane Traoré on drums and Brehima "Yoro" Cissé and Bouba Cissao on traditional stringed instruments. To explore contemporary electronic sounds, Hama asked David Harrow in Los Angeles to mix two of the songs, pushing genre boundaries. Hama looked for loops and effects in the mix to reflect his diverse influences, while always remaining centered in Niafunke desert blues, his home in the Niger River Delta of Mali. 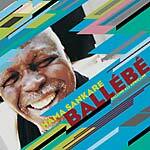 A tour de force by Malian master musician Hama Sankaré. CD version includes two tracks: an instrumental of "Middo Wara" and a radio edit of "Haira Alhawa".